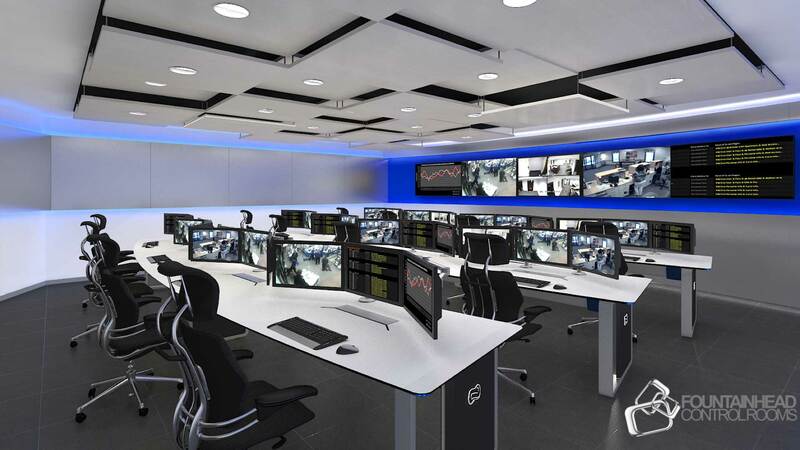 Since our first projects in 2004, we specialized in the design and implementation of command centers by turnkey system. We offer complete solutions for control-command, dispatch and data centers, wherever continuous monitoring of various processes of high importance and risk is required 24 hours a day, 365 days a year. In the design and implementation of our solutions we have always been guided by the specific demands of our clients coming from various market: monitoring of industrial processes, control of road, rail and river traffic, analysis of telecommunications data traffic, constant monitoring of production, transmission and consumption of electricity, control of access to facilities of special importance such as facilities of military, police, state institutions and public services. Accelerated climatic changes caused by droughts, fires, floods, earthquakes require continuous monitoring of atmospheric parameters that can be a potential danger to the population. 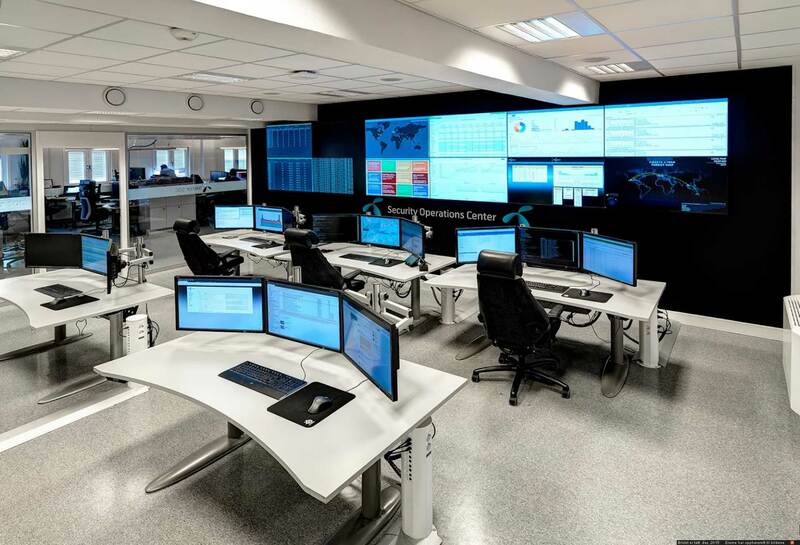 Successful management in crisis situations can only be done through highly technologically equipped “control rooms” where all data is gathered in one place. 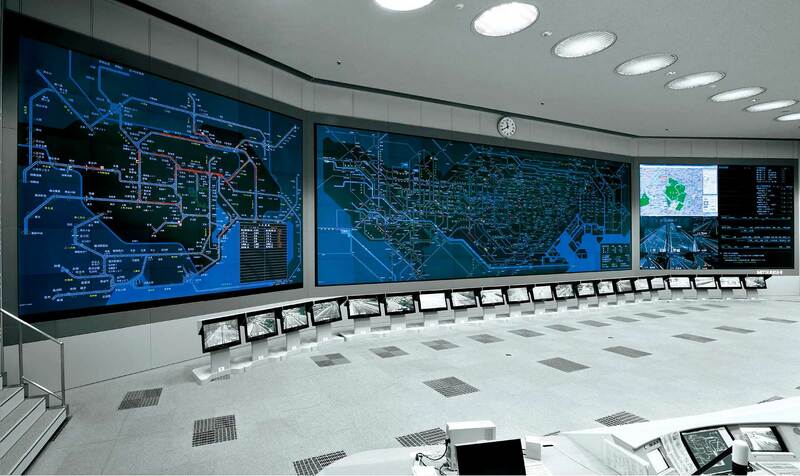 Continuous 24/7 surveillance of operators is realized in control rooms through high-resolution “video walls”, which feature full compatibility with other equipment, reliability and redundancy of the system, as well as a life span of 100,000 working hours with low maintenance costs, all based on original MITSUBISHI ELECTRIC technology. The products of this renowned Japanese company are generally recognized by world experts in this field, which is confirmed by a large number of installations worldwide and the operators working in control rooms who are thoroughly familiar with their characteristics, video quality, reliability and ease of maintenance. A reliable and efficient 24/7 surveillance system in the field of energetics contributes to prevention and rapid repair of possible failures on the network, as well as significant savings generated in the production and transmission of electricity. 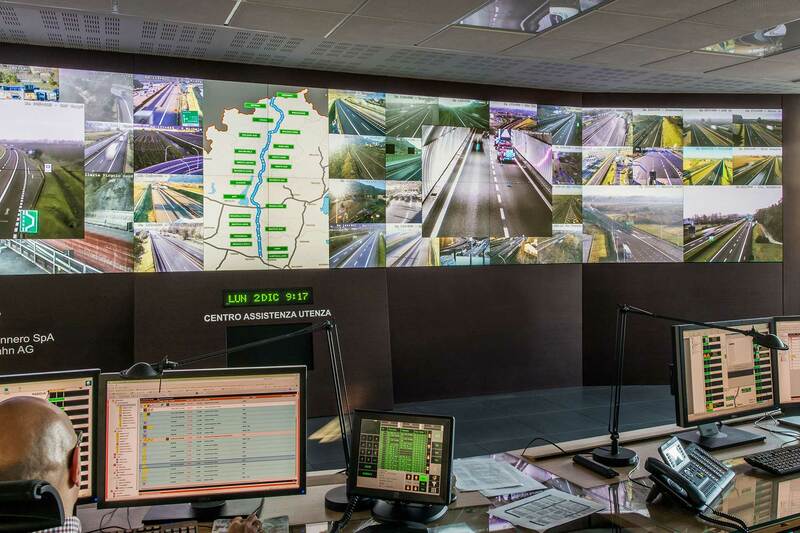 In this sector, “video wall” solution are mainly used with the SCADA system, so that all data is presented in a visually understandable and clear way and in real time. The information presented generally consist of diagrams, power grids, pipelines, ground-voltage networks, measurement readings, pressure levels, pump and valve settings, then camera recording, programs, and applications for transmission, distribution and production of electricity. Economic management of dispatch centers is achieved with a small number of trained operators, covering the geographical display of the entire territory of the city, region and country. The safety of highways, tunnels, railways, waterways and air traffic largely depends on the availability and readability of data in real time, to enable effective response even in extreme situations. 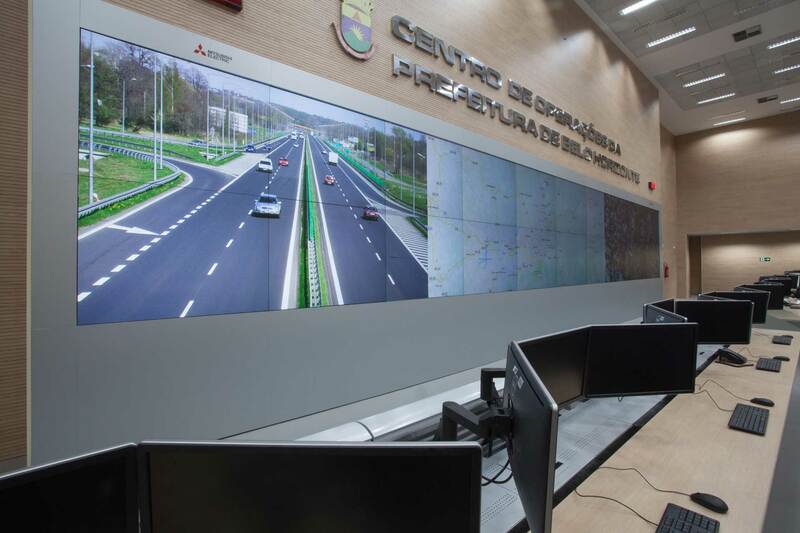 Due to the growth of traffic intensity and continuous expansion of transport networks, it is important that all data obtained from traffic detectors, surveillance cameras and other sources is centrally monitored, processed and distributed in the control-command center. Intensive climate changes increase the need for “emergency centers” with the task to constantly inform citizens about important changes on all types of roads by continuous monitoring. Modern industrial plants are based on high automation of work processes. For efficient management and monitoring of processes in industrial plants, developed software is used where it is necessary for the available data and parameters to be in real time. 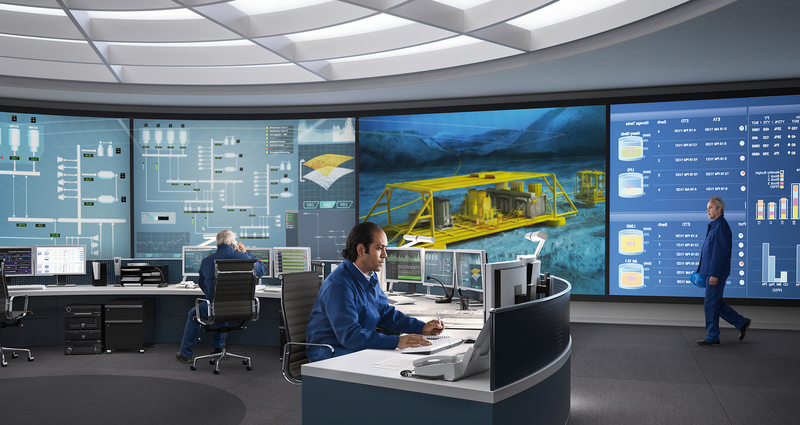 For industrial “heavy duty” applications, various types of monitors in UHD resolution and interactive monitors are used in various sizes from 7 “to 96”, designed to display SCADA and EMS data and diagrams that enable effective monitoring and response in case of emergency. 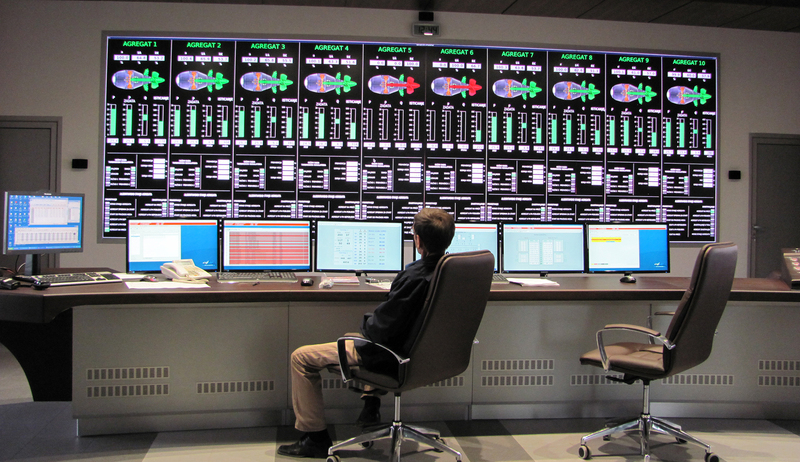 In control-command and operation centers in telecommunication companies and by mobile operators, the state of telecommunications and GSM network and data transmission is constantly being monitored. 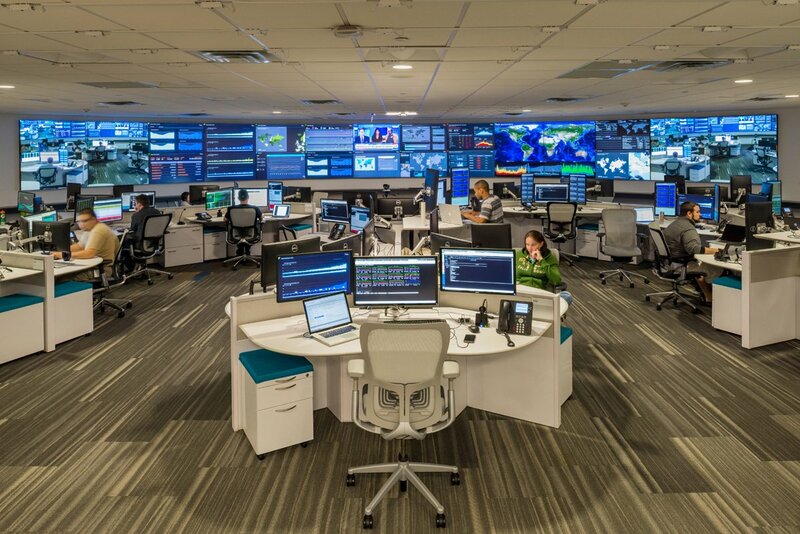 The most commonly used systems are “video walls” that allow centralized monitoring of the state of network, displaying of complex charts, data, high quality audio, and the ability to quickly and efficiently solve any problems on the network. This type of surveillance is extremely important and sensitive due to the intense level of use particularly in mobile communication and data transmission. Security centers such as military command centers, rescue services, flight control and coast guard, emergency centers require constant monitoring through video cameras and other sources. For this purpose a reliable real time display system is required. 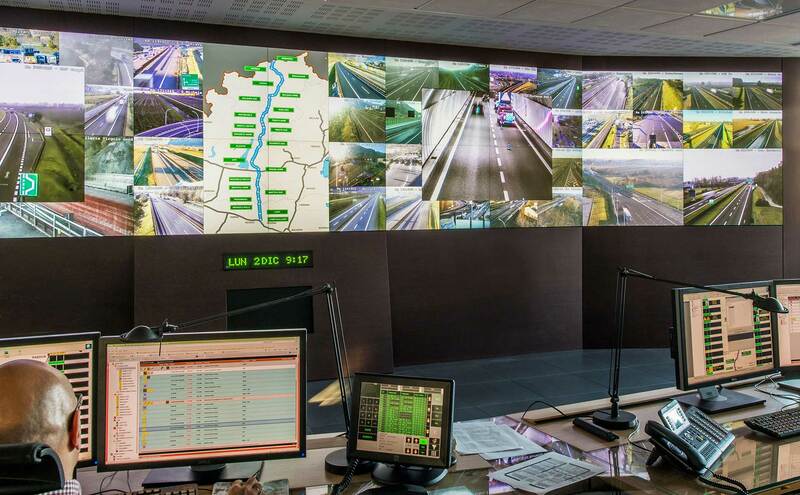 The advantage of using a video wall system in comparison to standard video surveillance equipment is that the “video wall” allows a dynamic and simultaneous display of video and other data such as graphic presentations, networks, GPS applications, tactical applications, in real time for more efficient operation in crisis situations. The use of “high-resolution video walls” is multiple in broadcast, both in management and as part of the scenography in TV shows, news, commercial programs. The task of the control-command center in the TV and video studio is to surveille the entire institution, as well as to enable cooperation between postproduction, synchronization and all other departments within the study. 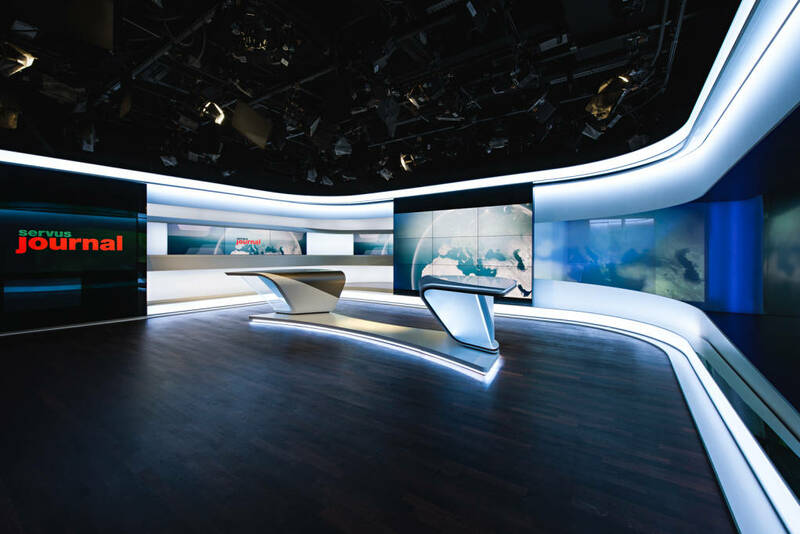 In modern broadcast control centers and production studios, the highest possible image quality, color stability and uniformity of lighting are required, whether the displays are used to monitor broadcasting or directly on the studio set. is a company specialized in the design and implementation of professional AV and ICT solutions using the latest visual technologies of the world’s leading manufacturers. With our partners we create the future.